The family of Ahmed Khalil, from the Souaada tribe, and hundreds of Sahrawis gathered Wednesday, February 6, in front of the UN representation in Rabouni, which also hosts the headquarters of the Polisario secretariat, to claim the truth about the fate of Ahmed Khalil, who went missing ten years ago in mysterious conditions in Algiers. Ahmed Khalil’s family handed the UNHRC a letter destined to be conveyed to the United Nations. The protests have become more and more frequent since the Polisario failed to set up an investigation commission, as it had promised on January 25. According to human rights observers, Khalil Ahmed, a former advisor to the Polisario’s former secretary general, in charge of human rights, was secretly investigating the involvement of the Algerian military in several cases of kidnapping and torture of Sahrawis. He was kidnapped and reportedly executed by the very soldiers he was about to denounce. 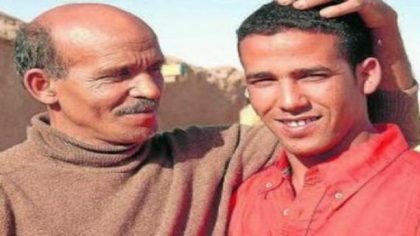 Now, the Polisario leadership, put before the fait accompli, cannot explain Ahmed Khalil’s disappearance.